Demonetisation in India - brave or brash? Our analysis, Part 2. In the first Bodhi on this issue, we saw what Money - BlackMoney - Demonetisation means, how black money fuels corruption in India, the rot that is Indian electoral politics today, size of currency in Indian market today, global action against black money & for demonetisation, and Modi's stepwise strategy prior to demonetisation. 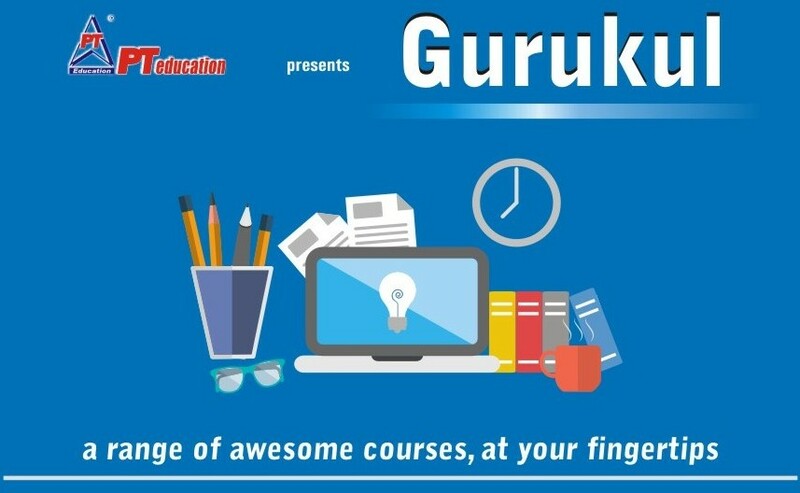 In this second Bodhi, we will now study our economy's structure with special reference to cash, how money laundering happens, Benami Property in India, why Indians don't pay taxes, Tax to GDP, impact on financial markets - inflation - exchange rates, legal provisions and some unanswered questions. India has made a huge jump in the total scale and size of its GDP over the past 15 years. Despite our poor per-capita incomes, our gross size is huge, and makes us one of the topmost nations in the world. We also saw earlier how illegal cash flows through myriad channels. 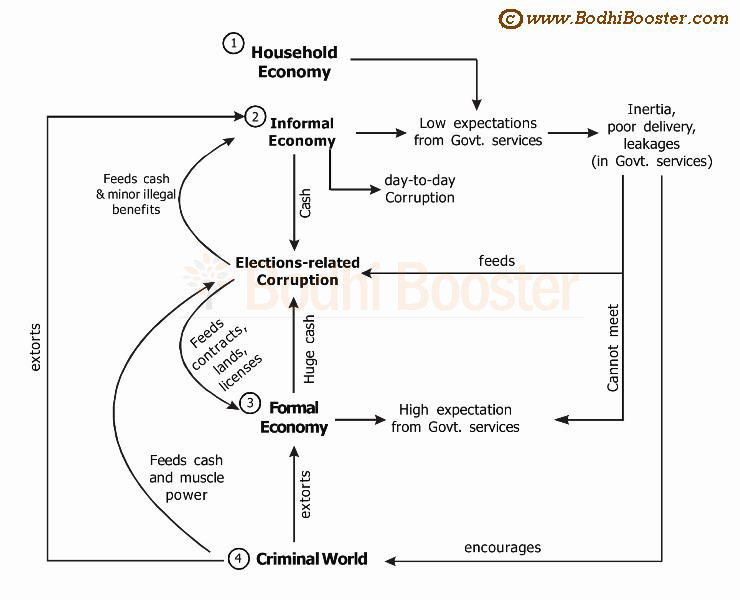 Add a nearly unfathomable layer of benami property on it, and the complexity of the system becomes clear. OK, time to get into the nitty-gritty of the system. So what do we see in simple terms? India's GDP in calender year 2016 = $2.3 trillion = $ 2300 billion. We know that $ 1 billion = Rs.6500 crores (presently more). Various studies show the estimate of black economy to be at least 20% of our GDP (could be more). So India's black economy = $460 billion (= Rs 30 lakh crore) This much money is sloshing around in deals and transactions without any taxation at all. This is what our politicians are making merry with, and what the Modi government wants to tax and bring into the mainstream economy. Efforts to rollout the GST regime may culminate in success by September 2017. 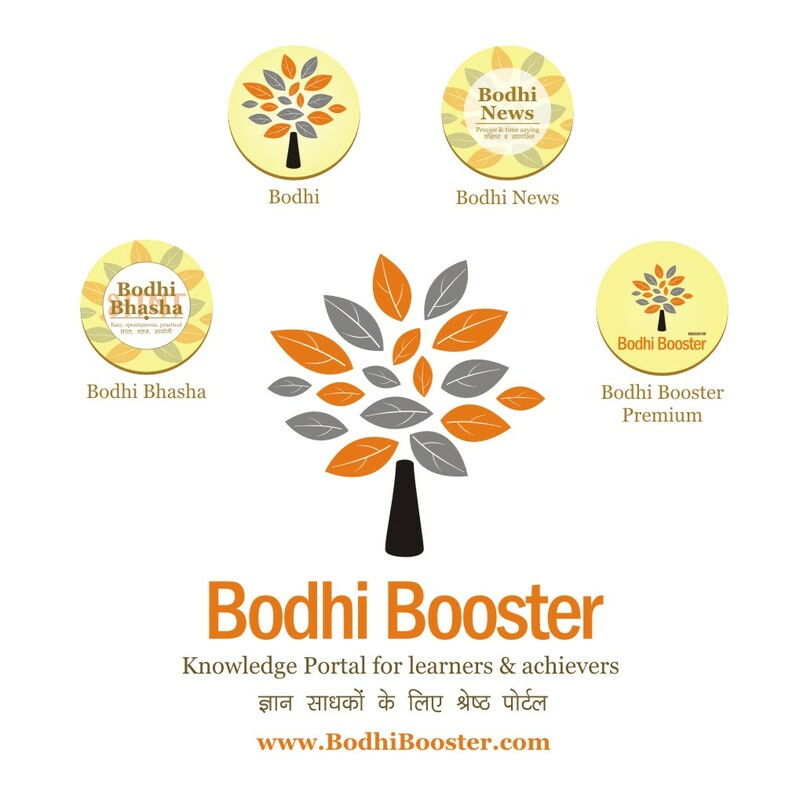 Detailed Bodhi on GST can be read here. Majority of this black money is not in cash. It is locked up in physical assets like real estate and gold. The holder of black money will create a fraud record of ownership in either a fictitious name or someone who's not the real owner at all. That is a benami property. All illegal moneys taken abroad, washed clean and brought back through official channels constitute money laundering. All domestic holders of benami property and gold are not examples of money laundering. Money laundering is the act of converting black into white through Layering (putting many entities in between creator of illegal money and authorities), Placement (putting illegal money into bank for the first time), and Integration (bringing the white cash back to owner). Experts claim that not an insignificant part of the FDI entering India is just laundered money! Benami, a Persian word, essentially means property without a name. In this kind of transaction the person who pays for the property does not buys it under his/her own name. The person on whose name the property has been purchased is called the benamdar and the property so purchased is called the benami property. The person who finances the deal is the real owner. The property is held for the benefit - direct or indirect - of the person paying the amount. Click other headings for details. The Benami Transactions (Prohibition) Act, 1988 was enacted by the Parliament which came into force on 19 May 1988. Due to various deficiencies in the Act, the rules required for operationalizing the Act were not framed. To address these deficiencies, several years later, in 2011, the Govt of India introduced "Benami Transactions (Prohibition) Bill, 2011". In July 2016, Modi government decided to amend the original 1988 act which was passed by the Parliament as "The Benami Transactions (Prohibition) Amendment Act, 2016". The act came into force from 1 November 2016. Under the latest Benami Transactions (Prohibition) Act 2016, with the Finance Minister promising that genuine religious trusts would not be covered. The new legislation makes a provision of seven year imprisonment and fine, replacing the three-year jail term, or fine, or both. Fine is upto 25% of the fair value of the asset. In case of joint ownership of property, the tax payer will have to show financing sources. Can check original act here. A benami transaction is one where a property is held by one person and the amount for is paid by another person. So what is not a benami transaction? Refer the 3 ways a, b, c mentioned above in Criteria. Assets of any kind can fall under benami transactions - movable, immovable, tangible, intangible, any right or interest, or legal documents, gold, financial securities etc. Law was brought to curb black money. People with unaccounted income will have no place to park their funds. After cash, this will be the final attack by government, if carried out successfully. 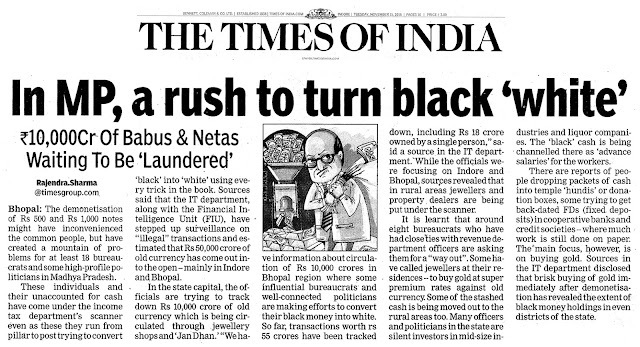 It is a commonly known fact that a large percentage of politicians and bureaucrats maintain their black money in benami properties of all types. Why would the black money not be invested in financial markets? Simple, it leaves a paper trail (records) and one can get caught. Experts suggest that more than 30% of India's real estate sector is funded by black money. But the rest is white. Primary deals may be in white whereas secondary usually are not. So when the PM announces a crackdown on benami property. Experts had already said that attacking only high denomination currency notes is a futile exercise if done in isolation. Everyone must have been relieved when PM Modi announced the next leg of his war on black money in a speech on Sunday 13 Nov, when he committed to attacking benami properties from January 2017. This now makes a lot of sense. Strong crackdown on black money has had some "unintended consequences". People now prefer cash in its physical form and have reduced their dependence on formal banking channels as shown in record low deposit growth. That is very harmful and will directly impact GDP growth rate. A clear drop in the prices of land and real estate has happened post 2014. Appetite for gold has gone and decline in bank deposits and usage of debit cards has happened. Post 2014, a huge crackdown on black money started. This brought fear in people's minds. People = Genuine citizens in informal sector + corrupt bureaucrats + corrupt politicians. Their preference for cash went up. Also their desire to grow bank deposits reduced. Banks started facing a liquidity crunch due to poor deposit inflows. At the same time, real estate and land prices started sobering out. Banks had their own old NPA problems, so they avoided giving credit to anyone but the best of borrowers. This made people rush to black economy for loans (credit). That pushed up the interest rates in black money substantially. Even as RBI cut the policy rates by 100 basis points, average cost of debt capital in India rose by upto 30 basis points. So the rate of manufacturing growth, jobs growth etc. all gets impacted. Government must have realised it's time for a big surgery rather than patchy treatments. The demonetization and attack on benami must be seen in this context to get a full picture. After the 30-Sept 2016 deadline for second declaration scheme, now two laws will be used in tandem - The Benami Transactions (Prohibition) Amendment Act, 2016 + Black Money (Undisclosed Foreign Income and Assets) and Imposition of Tax Act, 2015. On a lighter note, the attraction of a government job may well evaporate post this mayhem! Lacs may queue up to become a private sector entrepreneur than write an exam for a sarkari job. We often hear the government's tragic tale of how less than 5% of those who should pay taxes are actually paying, and how that severely constrains its fiscal leeway. Once there was an RBI Governor called Shri Raghuram Rajan. In 2014, he was quizzed about the idea of demonetisation. Raghuram Rajan, in 2014, when asked on demonetisation : "In the past demonetisation has been thought off as a way of getting black money out of circulation. Unfortunately, my sense is the clever find ways around it. They find ways to divide up their hoard in to many smaller pieces. You do find that people who haven't thought of a way to convert black to white, throw it into the Hundi in some temples. Of course, a fair amount may be in the form of gold, therefore even harder to catch. I would focus more on the incentives to generate and retain black money. A lot of the incentives are on taxes. The current tax rate in this country is reasonable. The maximum tax rate on high-incomes is 33%, in the US it is already 39% plus State taxes, etc., it takes it to near 50. We are actually lower than many industrial countries. Given that, there is no reason why everybody who should pay taxes is not paying taxes. I would focus more on tracking data and better tax administration to get at where money is not being declared. I think it is very hard in this modern economy to hide your money that easily." Apart from income, every other thing is taxed at high rates in India, at times higher than 50%. Petrol and diesel are taxed at more than 150% (Central and State). The outflow from a normal middle class family who may want to afford few luxuries, can be more than 50% of income! The returns on savings which is what you have in your hand after paying taxes, is taxed again! The level and quality of public utilities, services and goods in the West is far too superior and makes any direct comparison of tax rates useless. For an honest Indian taxpayer, it is a double whammy - pay taxes and lose most of your income, and then use that leftover income to pay for quality goods and services leaving nothing in the end. This vicious cycle has destroyed public confidence in government in particular, and nation in general. But the government's discomfort with low Tax to GDP ratio was visible in a dedicated chapter in Economic Survey 2015-16. This table makes it clear that if India really wants to improve its public goods and services, more people have to start paying taxes. The government has gone the whole hog now. The GST will be rolled out by September 2017, and you can read a detailed Bodhi on GST here. Later in this Bodhi, and at length in the third and last one, we will analyse the rise in RBI's reserves due to several lac crore Rupees (black) not returning into the banking channels at all now. RBI's reserves will suddenly rise, and all that is likely to be paid back to the government (through, say, dividends) leading to massive windfall for Central Government which can carry out many huge public welfare programmes immediately. A miracle that will be. Worst affected immediately! People's propensity to keep holding cash is reduced in a big way. By demonetising Rs.500 and Rs.1000 notes, 86 % of currency in circulation (totaling Rs.14.2 lakh crore) is affected. All sectors that depend on cash will see decreased activity. No marks for guessing that real estate, land purchases, gold buying will be hit! Also hit may be money-lenders (some funded by local politicians) who charge usurious rates. Click other headings for details. A problem with Indian PSU banks has been high rates of borrowing (to attract depositors to deposit). With this sudden influx of lacs of crores into the banking system, no one will be happier than our banks - of course, after the present mad rush ends, that is. As higher cost borrowings reduce, banks will offer lower deposit rates. Some experts reject this idea, and say it is far more complex. As bank deposit rates go down, people may want to now invest in stock markets (equity and perhaps debt also). This is so because the channels of black economy are getting blocked dramatically (more so if the attack on Benami happens in 2017). Stock prices may rally in a big way soon, after some bottoming out initially. Strangely, in the short term, as people struggle with change in their personal cash profile, their purchase and spending behaviour will directly affect all retail companies, services companies and NBFCs etc. So even when Banks will be willing to lend more to these sectors (due to this huge new liquidity created with them), there may not be enough credit-seekers! So GDP growth rates may suffer. Who said treating a cancer is ever easy. Obviously, in the short terms (next 2 or 3 quarters), formal GDP growth rates may suffer negatively due to change in public's spending behaviour and consequent effects. But government can try to balance that out by increasing government project investments. Giant plans like Sagarmala can be used effectively to do precisely that. The money may come from RBI - read on to know how. The RBI can easily use the reduced monetisation in economy to drop its policy rates further. Hence, interest rates may go down. All such calculations were dashed when the Monetary Policy Committee (MPC) announced its review on 07 Dec 2016 and kept the policy rates unchanged at 6.25%. So cash has vanished from the market as remonetisation is going at a slow pace, and policy rates haven't gone down. A portion of the Rs.15 lac crores (84% of total cash in circulation now made up of Rs.500 and Rs.1000) is never coming back into Banks now (it is black money!). So RBI's liabilities go down immediately ("I promise to pay the bearer ... etc."). Its reserves shoot up. What happens to that? Paid back to Union Government through any means like Dividends. Union Govt. gains a huge chunk instantly. Carries out large projects! This can turn the tide in Modi's favour for a long, long time. Some experts have totally rejected this idea claiming it is ridiculous! On 07 Dec 2016, a month after the big decision, the RBI Governor personally junked the whole notion, and clarified that no matter how many notes do not return "the RBI's liability does not get extinguished"! The big question mark right now. 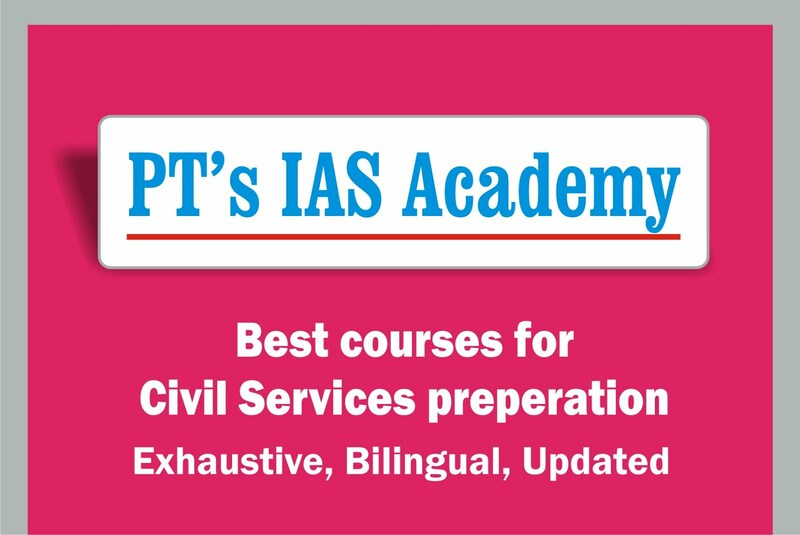 Major reforms in this area can totally transform Indian public life in the coming years. But that will be the toughest road to take. Instead of just reprimanding the TMC or BSP, the BJP has a historic chance to take the initiative for transparent cheque-based funding or State Funding. That last nail in the corruption coffin can seal the dynamics in favour of Mother India. So if we now look back, has Modi planned the whole action through till the last point? If he has not, politically the Party may never recover from the aftershocks of this bitter medicine administered without warning. If he has, and if the system executes it well, he will go down in history as the transformer. Depending on which camp one belongs to and where one was left standing when the tsunami (or atomic explosion) of demonetisation hit, criticism varies in tone, intensity and colour. But broadly speaking, critics are unanimous that Modi must not let crooks get away with just the shock of demonetisation. All the pain the citizenry is bearing would be useless in that case. Here is a totally unbiased listing of criticisms. Critics say Modi has pitched a patriotic rather than economic line - “There comes a time in the history of a country’s development when a need is felt for a strong and decisive step”. Modi asked the ordinary person to “put up with difficulties for some days”. Critics say if this is all he plans, he may be wrong. Why? In Dec 1998, Yashwant Sinha (Finance Minister in BJP's Vajpayee govt.) introduced the High Denomination Bank Notes (Demonetisation) Amendment Bill, 1998 to amend the law of Jan 1978 by which the Janata Party govt (Morarji Desai PM) had demonetised currency notes of Rs.1000, Rs.5000 and Rs.10,000! Sinha wanted to reintroduce Rs.1000 notes as recommended by the RBI in 1994. Sinha had then said “the Congress Party under P.V.Narasimha Rao decided in July 1994 that Rs.1000 notes should be printed but could not complete the process. The idea was revived by the next United Front government but couldn't do it.” Click other headings for details. Building on the first point, people remind what Sinha said at that time - “I am sure that the root cause for illegal transaction lies not in notes of high denomination but elsewhere.” On Sunday November 13, 2016 PM Modi made an announcement to tackle that 'elsewhere' place, relieving those who thought he was wrongly advised and that the present pain was pointless. Some political parties are taking him head-on, saying he has brought to a standstill the daily cash economy of the common man, farmers, daily wage labourers. Since ATMs could not be configured in time, the scale of the problem was big. There are 1,03,282 on-site and 98,579 off-site ATMs in the country, a total of 2,01,861 ATMs in all (RBI July 2016). Every ATM has three cartridges (bins) to keep cash, with one each for notes of the denominations of Rs.100, Rs.500 and Rs.1,000. The government has made our cash useless without any alternative system in place. Shopkeepers or those providing goods and services do not accept cheques due to fear. Credit cards have a yearly fees and most of the banks don't send statements in time and the holder of the card is made to pay 24% interest on late payment. Even shopkeepers charge 2% extra for accepting credit cards. If debit card is used, there are charges on every transaction (temporarily waived /reduced by GoI, though). There are other portals through which payments can be made, but they take service charges. Thus alternative methods which cost extra money and unnecessary expenditure are needed. In all fairness, it must be said that present government is not the only one to have thought of this - the earlier Finance Minister P Chidambaram had, in 2005 proposed two radical measures - withdrawal tax on cash Rs.10,000 or more per day, and TDS-free interest-bearing deposits to be reported to government by banks. None of those were implemented due to severe opposition by intellectuals, media and political parties and a very weak Prime Minister. Some experts say that Modi may never have got this opportunity today had Chidambaram been allowed to clamp down on tax evasion back then! Of course, many simply disagree. Finally, bitter critics are making a surprising claim that government had no choice but to carry out this dramatic attack on black money which will kill mutiple birds with one shot, as otherwise major promises were not being seen as getting truly fulfilled, nor were Achche Din visible round the corner as jobs, employment, manufacturing are all not vibrant. But the government is not merely watching. Rather tweaking and improvisations are happening daily. Here is a list of Steam-release measures announced 17-11-2016. 1. To help farmers in the Rabi season, now farmers can withdraw up to Rs.25,000 per week from the payment they receive for agriculture produce in form of cheque or RTGS. 2. The time limit for payment of crop insurance premium is increased to 15 days. 3. Registered traders at mandis can withdraw up to Rs.50,000 per week to meet labour costs. All the accounts of farmers and traders must be Know Your Customer (KYC) compliant. Of course, all the accounts of farmers and traders must be Know Your Customer (KYC) compliant. This is to eliminate any possibility of money-laundering, though most may not have a bank account at all! 4. The father or mother in a family having a marriage ceremony can make a one-time withdraw of up to Rs.2.5 lakh. And of course, then came the continuous Income Tax (IT) and Enforcement Directorate (ED) raids at bank branches, some RBI officers, private businesses, lawyers, tax accountants etc. across India where stashes of new notes were recovered. The government tried to alleviate fears that its move had been defanged by a large caucus of determined black money peddlers. One again needs to see the complete plan of present government - Establishing a Special Investigation Team (SIT) to trace illegal foreign bank accounts, Massive push to universalise access to bank accounts (Jan Dhan accounts), Pushing the use of Aadhaar in transactions and creating JAM trinity, Pushing the idea of a cashless economy, new licenses for Payment Banks, Unified Payments Interface (UPI) built on the India Stack (of technologies) given a serious forward push, Two friendly offers for black money holders to come clean, coupled with warnings (in 2014, and in September 2016), Demonetization of high denomination notes on 08 Nov 2016. It seems for now that the Prime Minister has risen above Party and done it for the nation. Taking it to a logical conclusion is imperative. In the meantime, the radical suggestions by the organisation that claims their ideas impacted Modi's present move remain unimplemented in the overall scheme. They had suggested a total abolition of all taxes and replacement by a much simpler structure. ArthKranti has been a pioneer in research into alternative monetary structure for India. We will discuss their approach at length in the third and final Bodhi on this issue. Time passes by. A month into the demonetisation decision, opposition parties called for a Black Day of protest inside the Parliament on 08 Dec, 2016. 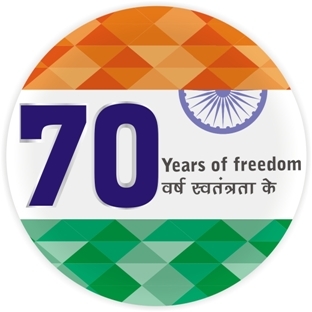 ##chevron-right## First Round It happened on January 12, 1946 - for Rs.1000 notes - done by the High Denomination Bank Notes (Demonetisation) Ordinance, to destroy illegal wealth accumulated during Second World War ##chevron-right## Second Round It was done on January 16, 1978 - for all notes above Rs.100 i.e. for Rs.1000, Rs.5000 and Rs.10,000 notes - done by the High Denomination Bank Notes (Demonetisation) Act, 1978 by Janata Party government to destroy black money of smugglers and mafia (Rs.1000 notes brought back in 2000-01) ##chevron-right## Third Round Carried out on late evening November 08, 2016 - for Rs.500 and Rs.1000 notes done through a TV announcement by PM Narendra Modi to break the backbone of corruption, illegal election funding, terror financing etc. A front page news report dated 15-11-2016 puts things in crystal-clear perspective - long live seven decades of the republic. So before you get your fingers inked with indelible ink, enjoy the show here! In the third and final Bodhi on this topic, we will tackle the most critical aspects - the unfinished agenda, post-demonetisation what, citizen's role, and holistic change needed. Stay tuned, and keep commenting!